Augsburg College was mentioned by the Twin Cities Daily Planet as a result of the traditional powwow held annually by the college. The event, which was sponsored by the Augsburg American Indian Student Association and American Indian Student Services, featured traditional Native American dancers, drummers, singers, and food. 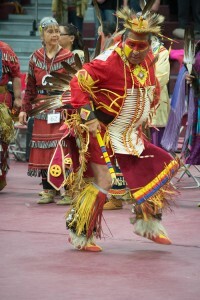 To learn more about Augsburg’s annual powwow, visit the Twin Cities Daily Planet news site. In his latest Huffington Post article, Harry Boyte, Augsburg’s Sabo Senior Fellow, discusses the need for public spaces in higher education. The idea, Boyte says, is that public spaces on college campuses can be used for discussions and demonstrations allowing for more political and democratic expression, therefore bridging the gap between “private” and “public” worlds. “Public spaces allow for expressions of higher education’s best democratic values — free exchange of ideas, thoughtful discussion, appeal to evidence and respect for different perspectives,” Boyte said. To read the “Universities, public spaces and the democratic way of life” article, visit the Huffington Post news site. Todd Lange ’92 was mentioned in the Albert Lea Tribune as a result of receiving the Albert Lea High School 2015 Teacher of the Year Award. 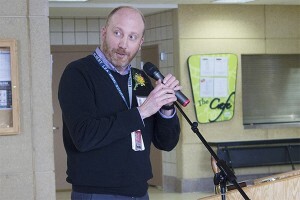 Lange, who has taught English in the southern-Minnesota school district for 18 years, also heads the English department at Riverland Community College. Lange holds a master’s degree in teaching from Minnesota State University, Mankato, a bachelor’s degree from St. Olaf College, and a teaching license from Augsburg College and the University of Minnesota. To read more on Lange’s Teacher of the Year Award, visit the Albert Lea Tribune news site. Whitney Restemayer ’10 was featured in the Bemidji Pioneer – a northern-Minnesota newspaper – due to her achievement as the first woman to coach a state hockey champion team in Minnesota. As head coach, Restemayer led the Thief River Falls Prowlers to the state High School Girls Hockey Tournament Class A Championship and to defeat Blake high school 3-1. The accomplishment, Restemayer affirms, will be the first of many to come. “I know I’m the first to win, but I enjoy knowing that I won’t be the last,” Restemayer said in an interview. Restemayer holds a bachelor’s degree in health education from Augsburg College. To learn more about Restemayer and her team, visit the Bemidji Pioneer news site. Curt Rice ’84 was appointed the new rector of the Oslo and Akershus University College of Applied Sciences, the largest institution of its kind in Norway. “I’ll work to assure that our institution makes its mark both nationally and internationally. And together we will achieve our goal of becoming a university,” Rice said in an interview. 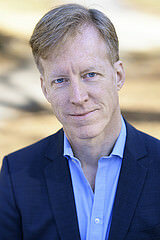 Rice, who holds a bachelor’s degree from Augsburg and a PhD in general linguistics from the University of Texas, currently leads the Committee on Gender Balance and Diversity in Research and is the Board Head of Current Research Information System in Norway. To read the article, visit the Oslo and Akershus University College of Applied Sciences’ site. Bruce Cunningham ’77 was featured by the Pine and Lakes Echo Journal after joining the Cuyuna Regional Medical Center in Crosby, Minn., as a family physician. Cunningham, who is a longtime Fellow of the American College of Osteopathic Family Physicians, holds a Bachelor of Arts degree form Augsburg College and earned his Doctor of Osteopathy at the College of Osteopathic Medicine and Surgery in Iowa. To read the article, visit the Pine and Lakes Echo Journal site.